Google: Never Mind the Nexus One, How About a Cheaper Cell Plan? Based on this week's flurry of media reports, it appears that Google will introduce its Nexus One smartphone right after the New Year. This HTC-built handset sounds like a very good Android phone, a solid effort as Google delves deeper into the consumer wireless market. Unconfirmed rumors price the phone at $180 with a 2-year T-Mobile plan, or $530 unsubsidized. T-Mobile's monthly contract will run about $80 a month for 500 minutes of talk and unlimited text and Web -- pricey, sure, but not out of line with similarly-equipped smartphones. And there's the problem. 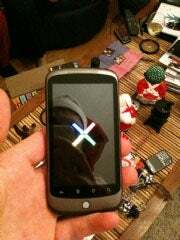 The Nexus One is business as usual, if the reports are true. Where's Google the Disruptive Force we've come to expect? The Nexus One comes across as a fairly conventional consumer product--not unlike the Apple iPhone, Motorola Droid, and other high-end handsets. It's a me-too smart phone, not one that's going to turn the cell industry on its ear. Why should we expect more from Google? Because the company has built a reputation for stirring up trouble in the tech industry--with consumers reaping the benefits. Whether it's providing free GPS navigation for Droid phones, free airport Wi-Fi for the holidays, free voicemail (and a lot more) with Google Voice, a free office suite with Google Docs, or free public DNS, the don't-be-evil search giant always has something interesting up its sleeve. A bold, consumer-friendly advance in wireless services would be welcome. Now, I'm not expecting an earth-shaking announcement of, say, free cell service when Google launches the Nexus One. But an innovation that brings together Google's growing stable of telephony components would be welcome. One example might be a data-only service plan that integrates Google Voice, the company's recently-acquired Gizmo5 (a Skype-like VoIP service), and the Google-branded smartphone to provide voice calls without a conventional calling plan. Or how about a free, ad-sponsored calling plan? Personally, I wouldn't want this, but I'm sure a lot of people would. As it stands, an $80-a-month service plan sounds like business as usual. Hopefully, Google will surprise us next week with better news.